Happy iDID!! I have new products in the shop today to help get a jump start your holiday gift giving. If you buy today, all new products are %40 OFF. 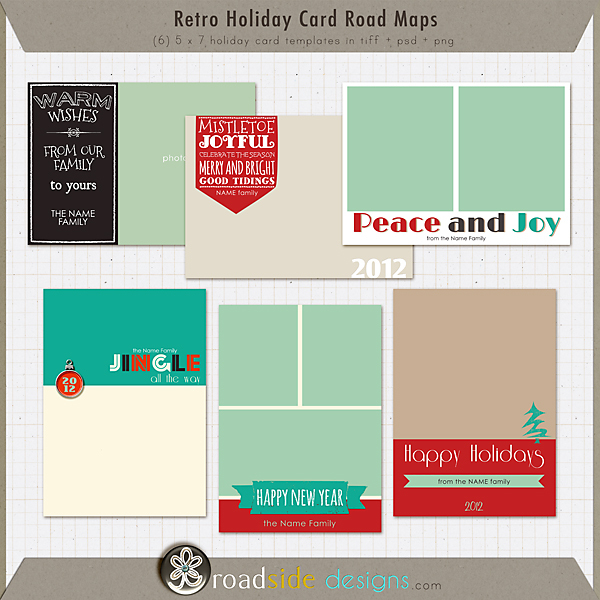 Retro Holiday Card Road Maps, 6 (5 x 7) size photo holiday cards. A super easy and trendy option for that long holiday card list. Just add your photos, some holiday papers of your choice, print the out OR send digitally. Make any purchase from my store and get the Retro Holiday Card Road Maps for FREE! 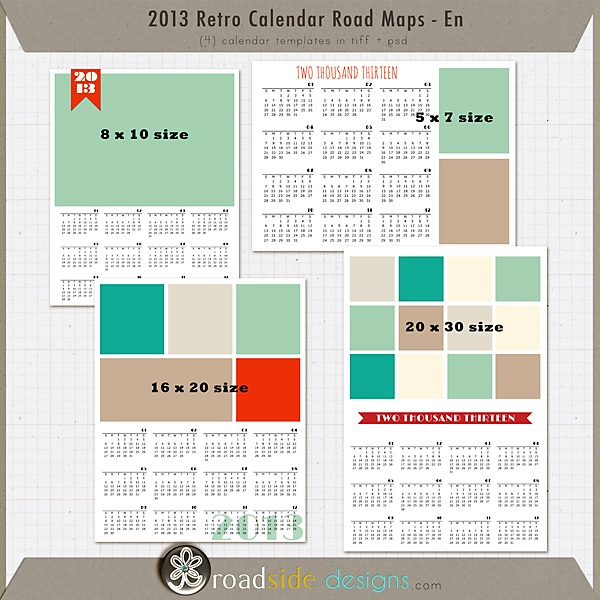 Place the holiday card maps in your cart with another product of your choice and price will be adjusted at checkout. Today I also have a set of trendy Calendar Posters for 2013. This set includes a 7 x 5, 8 x10, 16 x 20 AND a 20 x 30 size. Super easy, just add your photos, some digital papers of your choice and your DONE. Makes a beautiful give for family and friends. They are available in English format with the days of the week beginning on Sunday. AND they are available in Euro format with the days of the week beginning on Monday. Remember, all products are 40% off today for iDSD!